The main house can look back on a varied history. 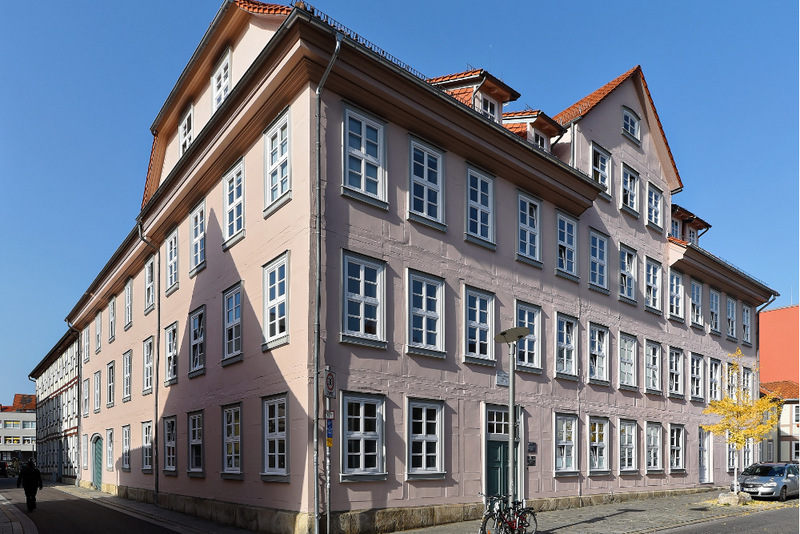 Built at the time of the founding of the university (1745 - 1747), it once served as a professor's residence, then as a surgical hospital for the university and later as a foundation for students of the theological faculty. After a thorough renovation, it was rebuilt to the student residence between 1984 and 1986. A smaller annex was built in 1955. The total of 59 single rooms (12 of them former double rooms) vary in size and you can furnish them independently, which gives each room an individual touch. The existing group apartment can also be arranged individually by students. The courtyard belonging to the building complex with green areas, pond and natural stone pavement invites you to linger, especially in summer. By bike you need only 5 minutes to the central campus and the city centre is right at your feet. If a tenant moves out during the period of residence, the remaining tenant decides on a follow-up tenant. Joint application of 2 persons required.